Second in the Chubby Chicks series. This story focuses on and is narrated by Bezu as she attempts to keep her family home by taking in boarders. 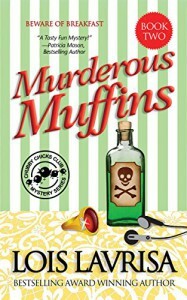 One of the boarders is poisoned by eating her muffins and Bezu, with help from Cat, must solve the crime.